Neuro-Linguistic Programming describes the interaction between the mind's functioning and language and how this interaction affects our bodies and behaviour. In a business sense, NLP is a popular tool for performance coaching and sales professionals. Training courses in NLP Coaching / Neuro-linguistic Programming are based on the premise that the majority of human resources, strategies and cognition are unconscious. In this manner, NLP enables its beneficiaries to discover and utilise their hidden mental capacities. Professionally, neuro-linguistic programming is a recognised tool for change, personal development, and effective communication. NLP is specifically used in this capacity in the fields of business, sports, retail, sales and leadership. Professionals can utilise NLP courses as a guide and communication tool towards better understanding and developing projects and teams within the workplace. Overall, NLP can be a critical asset to professionals wishing to become impactful, effective leaders. In terms of personal development, neuro-linguistic programming also has its place. Individuals participating in NLP training can expect to learn how to coach themselves into desired change, resulting in the achievement of goals such as career advancement and personal development and fulfilment. NLP courses range from beginner 1-day courses to advanced, extended workshops. Courses may include a topical emphasis on the likes of communication, self-help, leadership and more. When considering which NLP course is right for you, you may consider INLPTA (International NLP Trainer's Association) or ABNLP (The American Board of NLP) certifications, as marks of quality. Alternately, online coaching courses in NLP provide a flexible schedule to learn around the confines of a busy schedule. Who should take NLP courses? NLP training courses attract a diverse audience, ranging from teachers, consultants, psychologists, vendors, physical therapists, health professionals, social workers and psychologists to entrepreneurs, managers, leaders, coaches and counsellors. 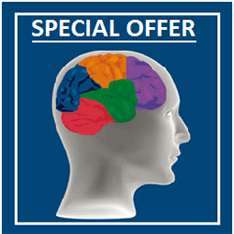 NLP courses are suitable for beginners, as well as those with experience in NLP. A beginners course will provide you with a solid introduction to what NLP is and how you can apply it to your role to achieve better results. Managers and supervisors can get a lot from NLP courses, and they will teach you how to utilise the benefits of NLP for your team. What will I learn with an NLP course? NLP courses can be found all over the UK in the form of classroom, online, or in-house to suit the needs of every professional.